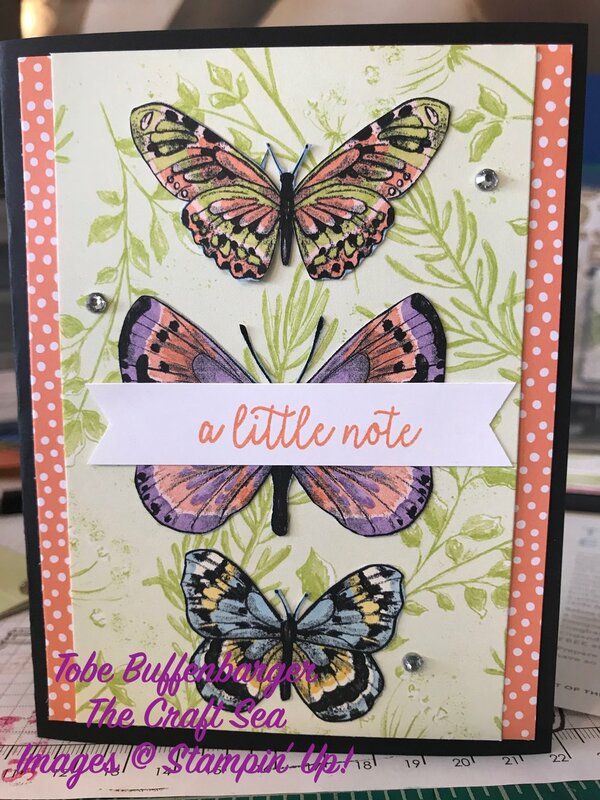 Today’s card is a CASE from the Stampin’ Success magazine for demos. I saw this cute butterfly trio card and knew I had to recreate it! I did change out the background paper, adding my piece of Grapefruit Grove Patterned Paper and modified the dimensions a bit. But the basics of the card is the same!